Gina's note: I thought I'd read every horse story in existence, and knew of every "famous" horse in history. But the story of Jim Key was almost not told - ever - until Tennessee native and author Mim Eichler Rivas found herself in the middle of a mystery. 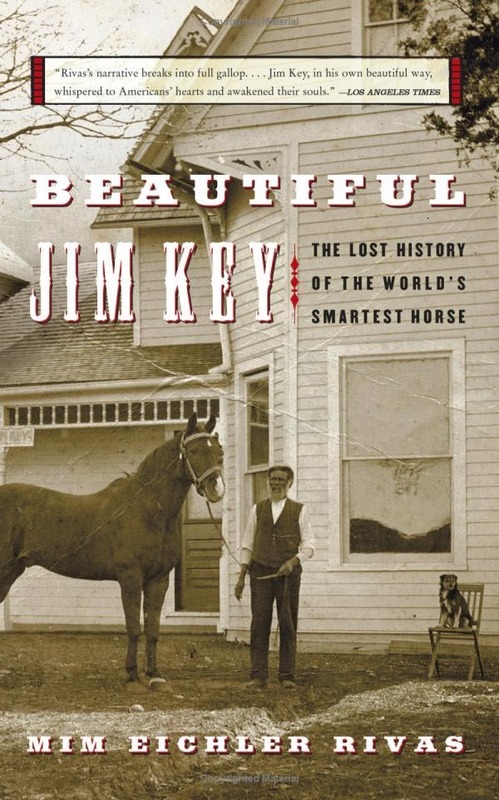 That surrounding the nearly lost story of a horse who could read, write, do math and his owner; former slave, Civil War veteran, self-taught veterinarian Dr William Key. This well-written and extensively researched true story is one of the best I have ever read. After I found myself at a horse expo, enthusiastically praising this book to a total stranger, in a booth belonging to a vendor I didn't even know... I decided it would be a good idea to make it available to HoofPrint's own customers. -Enjoy!